How many organizations that start with a huge, audacious goal get to declare victory and pack up? In 2015 Freedom to Marry was able to declare “mission accomplished” when SCOTUS ruled marriage equality of the law of the land. What can we learn from this decisive victory, and others in the making? Rich Mintz, Executive Vice President of Blue State Digital, will be joined by Michael Crawford, Director of Digital at Freedom to Marry to discuss observations, insights, and lessons from winning campaigns — what separates the winners from losers, and what it takes to declare victory in the digital age. Moderated by Mashable's Juana Summers. 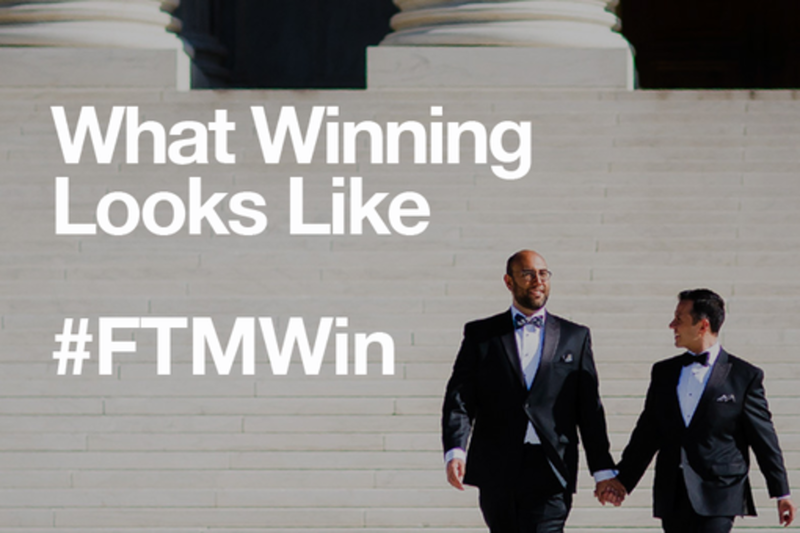 Michael Crawford (Director, Digital and Creative) led Freedom to Marry's in-house creative team and directed its award-winning digital program. His work focused on creating innovative digital campaigns to accelerate the growth of public support for marriage, mobilize supporters into an effective movement, and elevate Freedom to Marry’s brand. Michael led the Freedom to Marry’s shift to a storytelling-centered content strategy and worked with a team of content creators and digital organizers to build an online supporter base of 1.5 million people, produce award-winning video content and revolutionize the national conversation about gay people and marriage. He has spoken about building internet powered social movements at numerous conferences, including Social Media Week NYC, Netroots Nation, National Immigration Integration Conference, Campaign Tech, and the U.S. Conference on AIDS. Rich Mintz is a visioning, branding, marketing, and communications advisor with 25 years’ experience, who works with issue organizations, large nonprofits and cultural institutions, and brand campaigns. Since 2007, he has served as Executive Vice President at Blue State Digital, a company he has helped to build, where he’s worked with and presented to some of America’s largest and most influential nonprofit institutions and for-profit companies. He’s also a board member at the Cultural Data Project, a national initiative to help cultural institutions improve their effectiveness through the use of reliable comparative data. Rich’s work has helped bring people together and build public engagement in communities across America and around the world. He helps organizations sharpen their visions and aspirations; clarify their missions; and mobilize all their stakeholders—internal constituencies, local opinion leaders, and their public constituents—to work together to help them succeed in ways that improve the quality of life where they are.